Experience the most exclusive city tour of Regensburg! 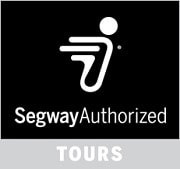 Discover the UNESCO World Heritage in a complete new way – on the Segway. We start right at the Cathedral. Together with a professional tour guide it goes to the most beautiful sights of the former trade metropolis without exhausting foot marches.